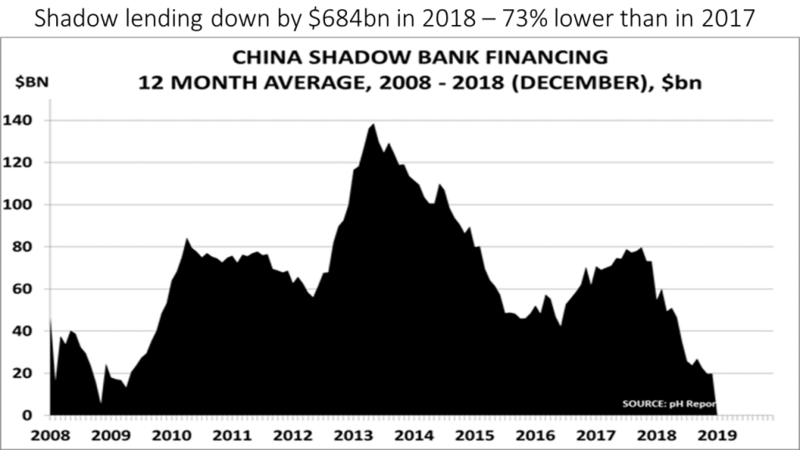 CHINA’S full-year 2018 lending figures are out and they underline what I’d be warning throughout last year – the withdrawal of stimulus back to the levels of the pre-2009 period. 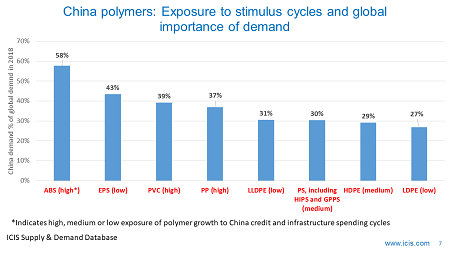 Shadow bank lending, which has led to extraordinary growth in demand for chemicals and polymers, and all the things made from chemicals and polymers, including autos, was down by no less than $684bn, as the above chart illustrates. Monthly lending via the shadow system averaged $20bn – the pre-2009 level. 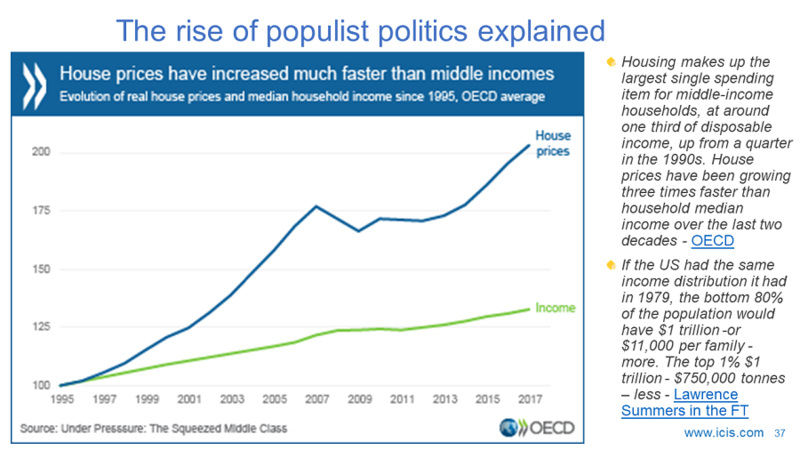 2009 was crucial as it marked the beginning of the post-Global Financial Crisis surge in Chinese stimulus, the biggest the world has ever seen, which rescued the global economy from what would otherwise have been a much longer and deeper recession. 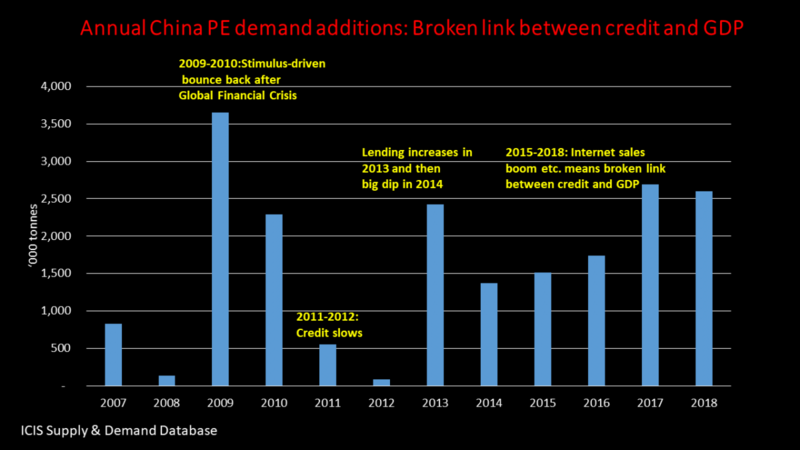 The global role that China played in stimulus is illustrated by the chart below, an updated version of the chart from fellow blogger Paul Hodges that I’ve been running for several years. 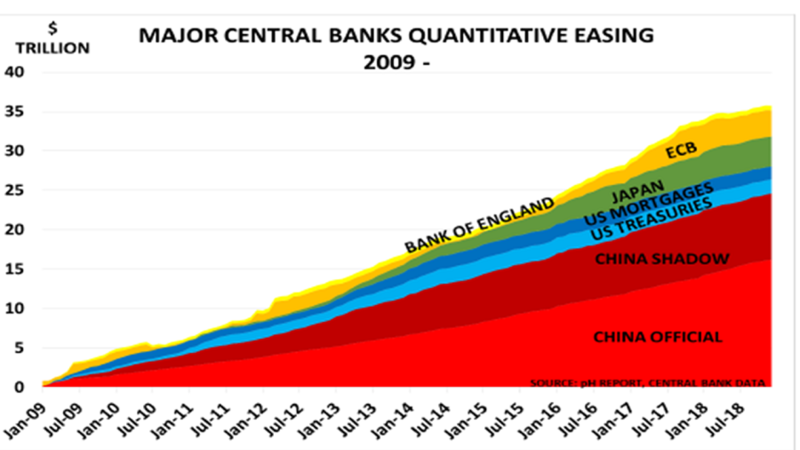 It shows that up until China stimulus has dwarfed the stimulus by the Fed, the European Central Bank and the Bank of England combined. This tells us that despite the recent rally in US equity markets because of signs that the Fed might be pausing on interest rate rises, there is little that the Fed or any other Western central bank can do replace the lost China stimulus. 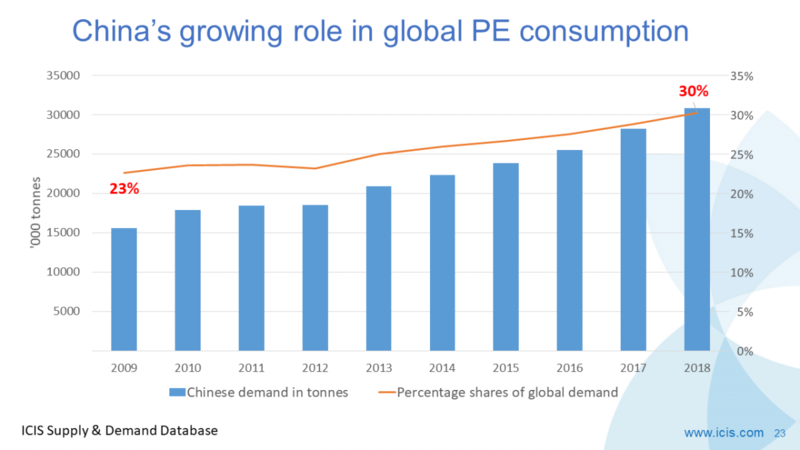 The global implications of slower Chinese lending include the fall in German growth in 2018 to its lowest level since 2013. Germany is, of course, Europe’s biggest export powerhouse and is heavily dependent on exports to China. 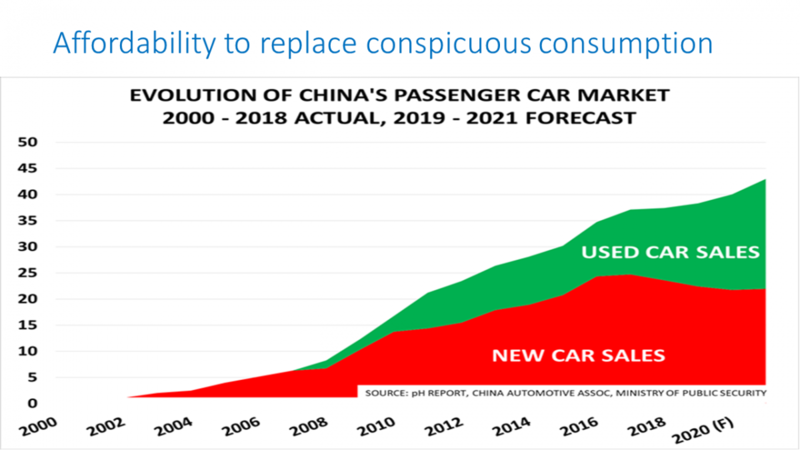 China will continue to put its foot down hard on the stimulus-acceleration pedal this year, but the law of diminishing returns will make the positive impact on its economy less than in 2009-2017. High levels of debt mean that the boost to GDP of each dollar of new lending will be less than during those nine years of extraordinary stimulus. The easy path to a quick economic turnaround of building lots more factories can also no longer be followed.During 2009-2017, manufacturing plants were built for the economic multiplier sake of building the plants, almost regardless of supply and demand analysis. 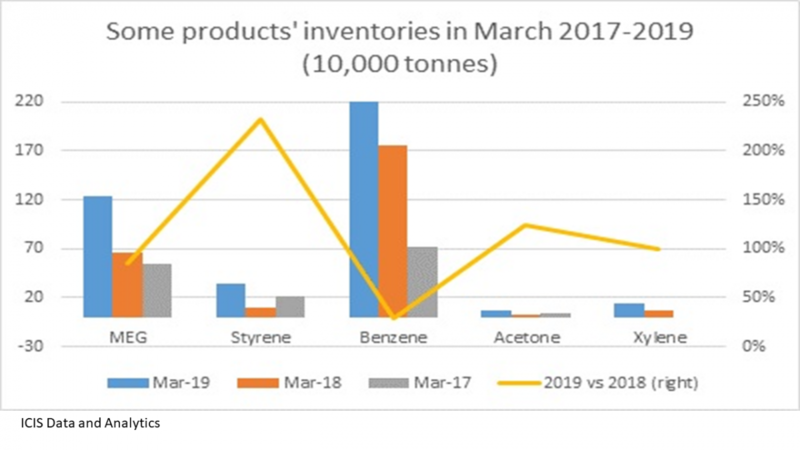 This led to oversupply in some chemicals and polymers an across many other manufacturing sectors. 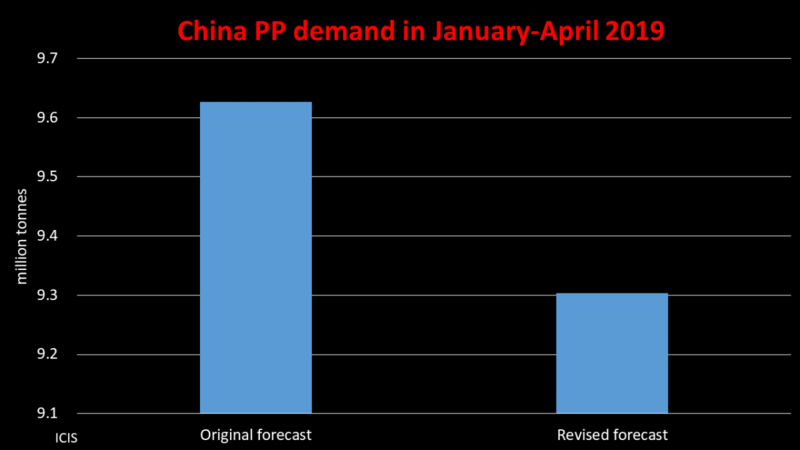 China cannot afford to add to oversupply. 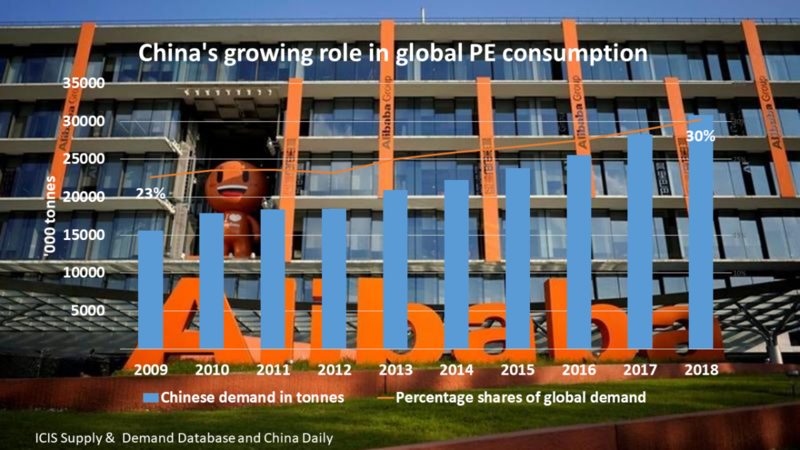 The slowdown in the Chinese economy is mainly to do with this withdrawal stimulus, which has taken the form of the sharp cut in the availability of credit. But of course the trade war is also an important given that some 180m jobs in China are dependent on exports. The trade war was one of the reasons why China’s exports fell by 4.4% in December. BUT in the meantime the deal will give President Xi some breathing space and allow him to continue you with his economic reforms. So expect the credit squeeze to continue once a trade deal is done.